It’s almost Thanksgiving Day! I don’t know about you, but I am super excited for the Macy’s Thanksgiving Day Parade (even though everyone lip syncs), seeing family and friends that I haven’t seen in a while and eating lots of homemade food. 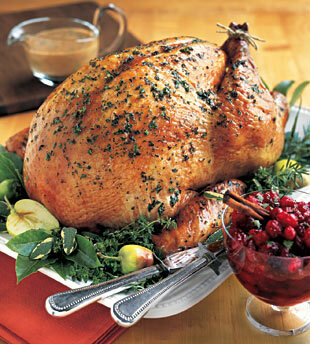 I hope you already have your turkey in the fridge to defrost, no one likes a frozen turkey. If you are scrambling to find a turkey recipe that will impress your guests, you have to try this one out! 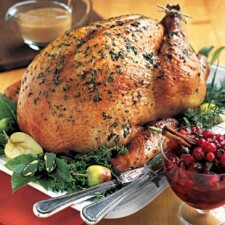 You can even put the turkey in a brine today to make it even more moist! Remove the gizzards and neck from the completely thawed turkey. Place the cut garlic, onion, and lemon inside the turkey. Using your finger gently loosen the skin of the turkey and rub the spice mixture underneath the skin of the turkey breast and thigh. Do it very gently to avoid breaking the skin.